As a proud homeowner, you need a roofer in Connecticut that you can actually trust to give you the bottom line- no fluff, no runaround. Rhino-Back’s management team has over 15 years of experience, and has worked with hundreds and hundreds of happy homeowners to provide the best roofing services in Bloomfield CT .
Our fully qualified staff is here to assist you with roof replacement services in Bloomfield and are committed to our customer’s satisfaction! 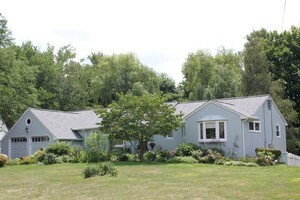 We are a Bloomfield CT Roofing Company with an A rating on Angie’s List, and a 5 star rating on Google and Facebook. So if you’re looking for a company that holds the highest standards for quality, craftsmanship and business reputation, you’ve come to the right place. It will be our pleasure to serve you! If you need a Contractor in Bloomfield CT, Call Rhino-Back at 860-217-1424 Today! Get a Bloomfield Roofing Estimate from Rhino-Back. 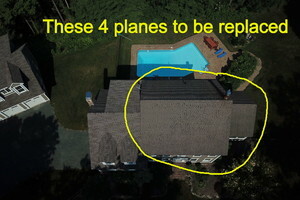 I would like to talk about my roofing project in Bloomfield, CT.
View a few of our completed roofs near Bloomfield below. Rhino-Back Roofing is the best! Rhino-Back Roofing is the best! The job came out great and the price was more than fair. From beginning to end, the whole experience was great. Thanks again to Mike, Josh and the whole crew! I would recommend your company to anyone! Affordable and GREAT to work with. Lisa Trouern-Trend and her husband Mike, own Rhino Back Roofing, a local family company. 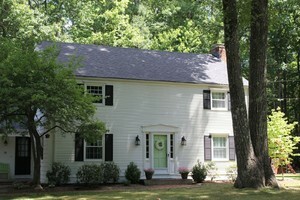 They did my roof in September and were affordable and GREAT to work with. We were in a similar situation and Mike walked us through all of our options. Highly recommend.